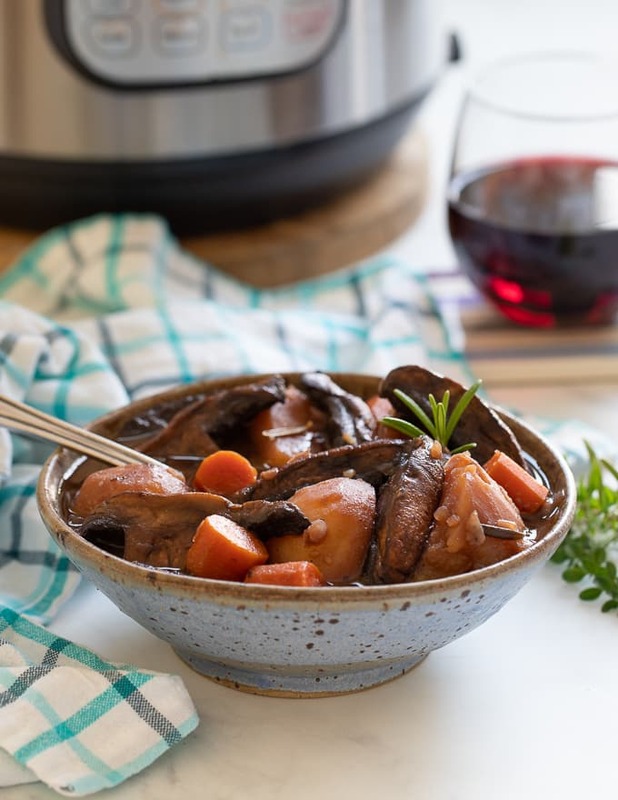 The ultimate one pot family meal – Vegan Instant Pot Portobello Pot Roast! We’re talking meaty portobello mushrooms, meltingly tender vegetables and a thick, really rich and flavourful gravy. Plus as well as tasting amazing, it’s super easy, quick and convenient with minimal washing up. A big YES PLEASE on all counts! 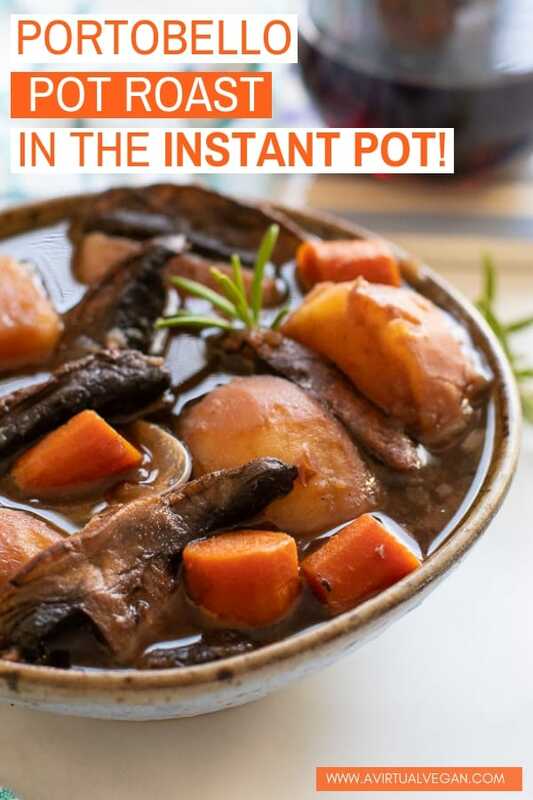 FACT – If you love my Portobello Pot Roast recipe and you have an Instant Pot you absolutely need to make this recipe. And if you don’t have an Instant Pot or you haven’t made my Portobello Pot Roast, what are you even doing with your life? 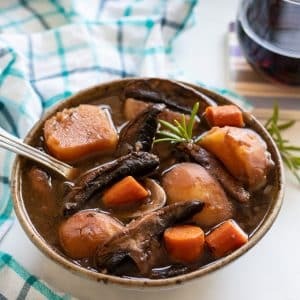 This Vegan Instant Pot Portobello Pot Roast recipe my friends, is the bees knees of Vegan Pot Roasts. It does not get any better. It seriously blew me away when I first made it. The flavour is incredible. 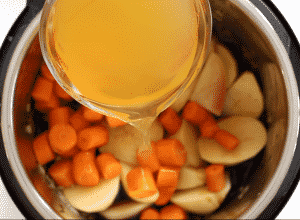 That gravy …. 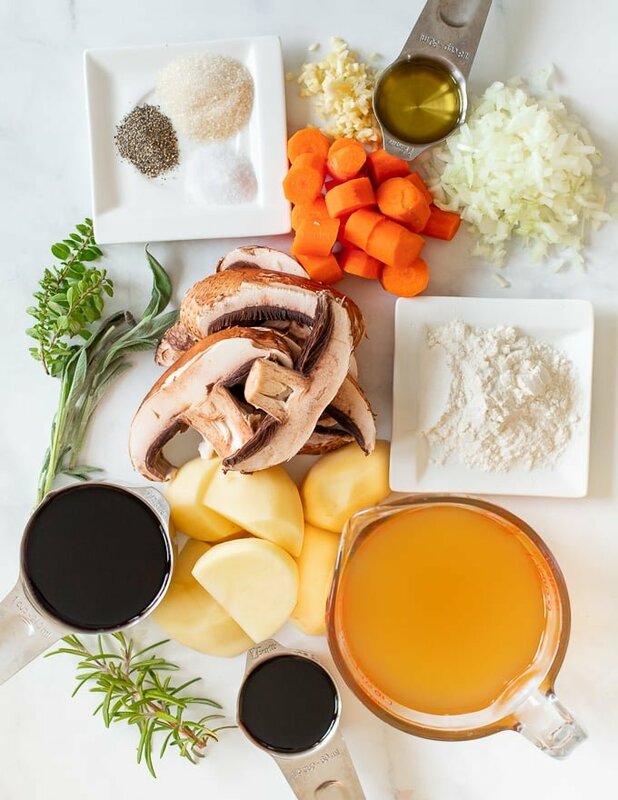 We’re talking meaty portobello mushroom slices, soft, melting potatoes, sweet carrots and rich, super flavourful, thick gravy. We’re talking ultra deliciousness with bells on. And don’t worry, the mushrooms are not cooked in the Instant Pot the whole time, so they don’t end up like little wrinkled, slimy slivers. They get sautéed up until golden in the beginning, then removed until the end so they retain their lovely meaty texture. There is something incredible about large chunks of potatoes cooked in gravy in the Instant Pot. They become, soft, sweet and delicious and I just can’t get enough of them. 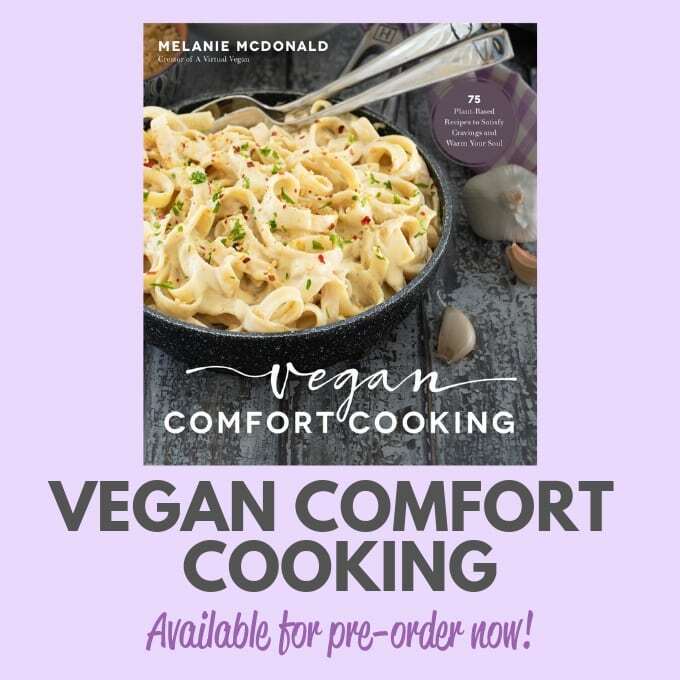 I discovered how good they were cooked like this when I first made my Vegan Instant Pot Potato Curry. 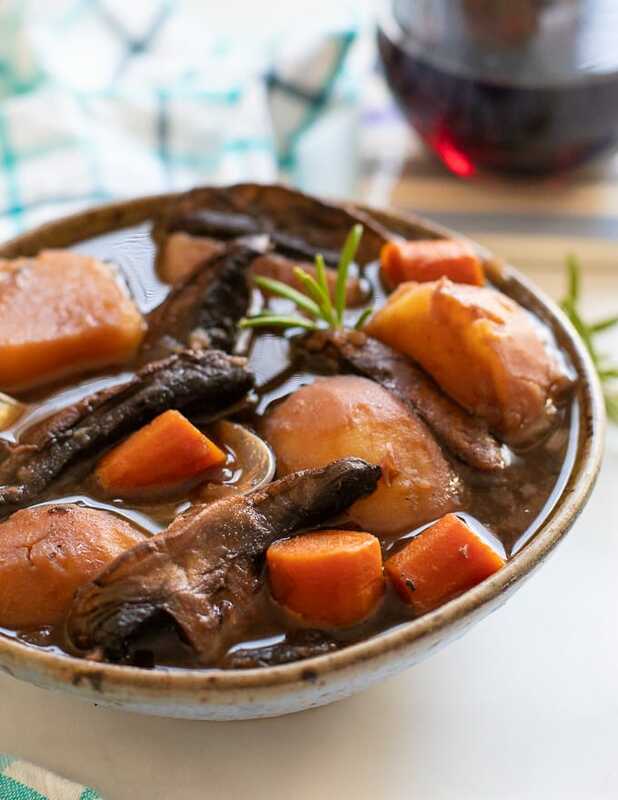 The potatoes in that recipe end up just as sweet and tasty as they do in this Vegan Instant Pot Portobello Pot Roast. Ok, before we go any further, some of you may be wondering what an Instant Pot is. 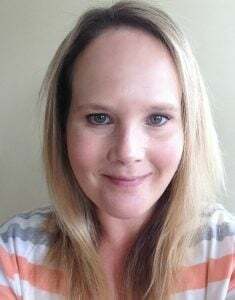 And I am just ever so slightly in love with mine. And no they aren’t paying me to say that. This is not sponsored. I really, genuinely do, love this appliance. Other than my blender, this gets used the most in my kitchen. Instant Pots are smart, programmable electric pressure cookers which were invented and designed in Canada and they are amazing. They speed up cooking 2 to 6 times while using up to 70% less energy than other cooking methods. They are also able to function as slow cookers, rice cookers, yogurt makers and you can sauté in them. They are incredibly versatile and useful. 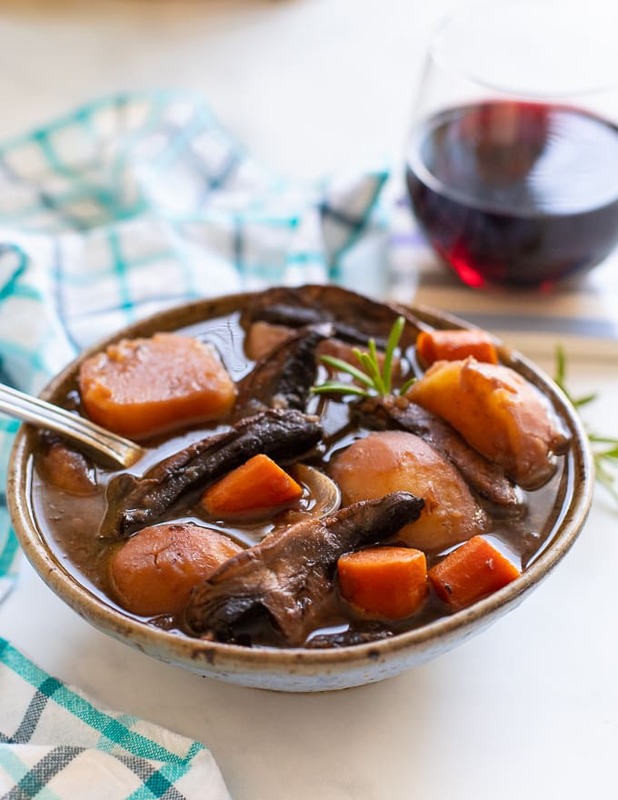 And this clever little Instant Pot does something absolutely magical to this Vegan Portobello Instant Pot Pot Roast. The flavor really is incredible. I haven’t enjoyed a meal so much in ages. Aside from it’s amazing flavour, the great thing about this recipe is it’s convenience. 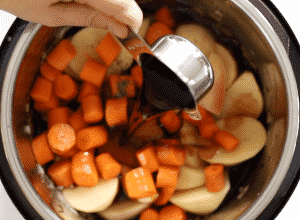 Making it in the Instant Pot is so easy and you literally have one pot to wash up after. A recipe that is easy to make and produces minimal washing up is always a good thing! Sauté those ‘shrooms, right there in the Instant Pot then scoop them out and save them for later, then sauté the onions and garlic. Throw in the potatoes, carrots and seasoning. Then add the wine, soy sauce, broth and herbs. Once it’s cooked, thicken up the gravy, add the mushrooms back and serve! 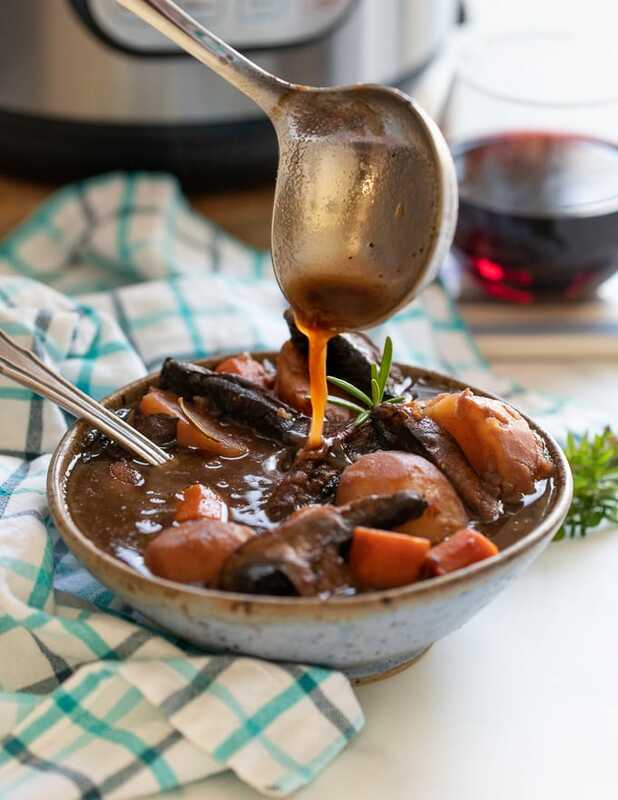 It doesn’t really need much in the way of accompaniments, apart that is, from a big glass of wine and some good bread to mop up that delicious gravy. 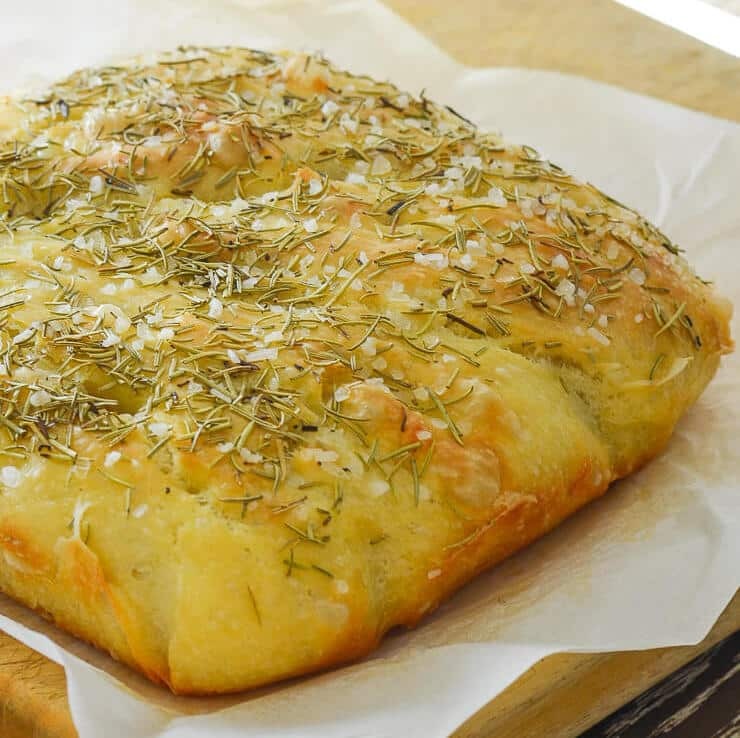 May I suggest my No Knead Focaccia Bread for that job? If you think making bread is difficult, think again, because this one could not be easier and other than a bit of stirring there is barely any work involved. It makes the perfect gravy mopper-upper! And it’s set to become a real family favourite! 5 large potatoes , peeled and cut into large chunks (I cut each potato into about 5 pieces). 4 tablespoons all purpose flour , or arrowroot powder, cornstarch or gluten free flour . Use the same amount. INSTANT POT INSTRUCTIONS (My Instant Pot is a 6 quart. If yours is a different size you will need to scale the recipe up or down accordingly). Set the Instant Pot to sauté and add 1 tablespoon of the olive oil (or use a few tablespoons of water instead if you prefer cooking oil free). Add the mushroom slices and cook until they have a good golden colour all over. Then remove to a plate or a bowl and set aside. Add the remaining oil (or more water), and sauté the onions until golden. It's important to get a good colour on them because that's what adds lots of flavour. 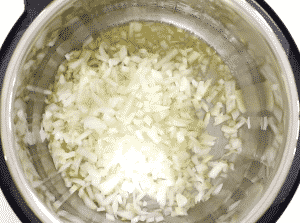 Once golden, turn off the Instant Pot and immediately add the garlic, stirring it in and letting it cook in the residual heat. 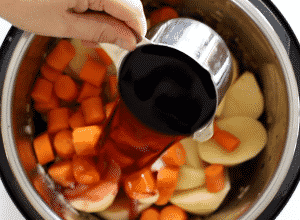 Add the potatoes, carrots, wine, soy sauce, broth, sugar and seasonings then give it all a good stir. Really scrape into the bottom to get the brown mushroomy residue off and into the gravy for extra flavour. Place the fresh herbs on top, place the lid on the Instant Pot and seal it, then set it to Manual (Pressure Cook on newer models), High Pressure for 15 mins. Once it's done, leave the pressure to release naturally. While waiting make a slurry with the flour. Add water to it gradually to make a lump free paste then add a little more, stirring constantly until it's pourable like cream. 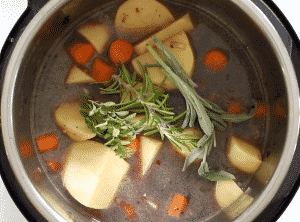 Once the pressure has released turn off the Instant Pot, remove the lid, scoop out the herbs and discard. 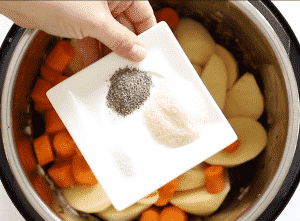 Turn the Instant Pot to "sauté" and pour in the slurry, stirring immediately to incorporate. 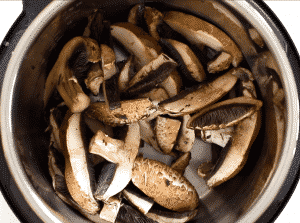 Then add the mushrooms back in and stir gently again. The potatoes will be really soft and might break a little but that's ok. They taste at their best when soft like that in this recipe. Give it a couple of minutes for the gravy to thicken a bit and the mushrooms to warm through then serve. Cook on the stove top instead. 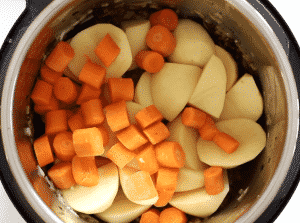 Just follow the instructions as above, but use a large soup pan and simmer on medium low until the potatoes are soft when you poke them with a fork. 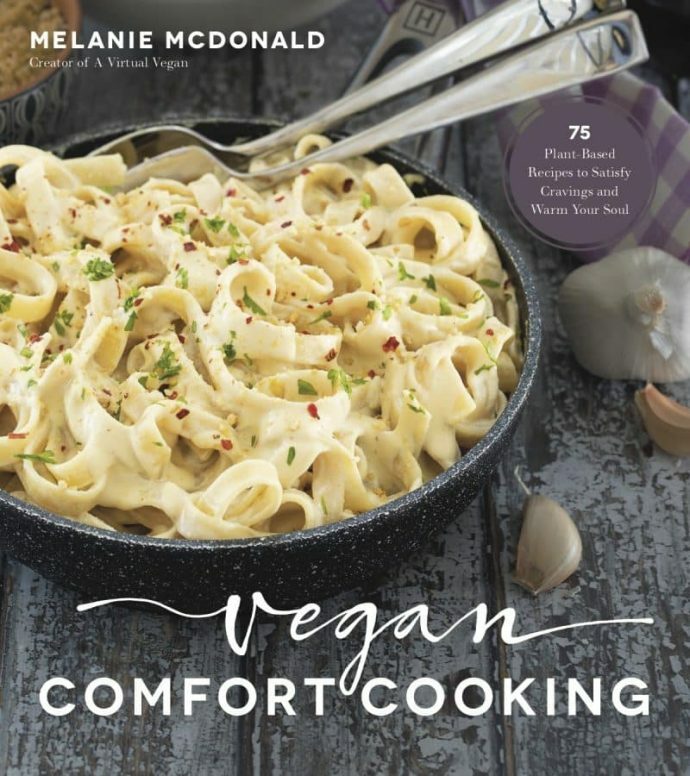 Or, cook it in the oven. 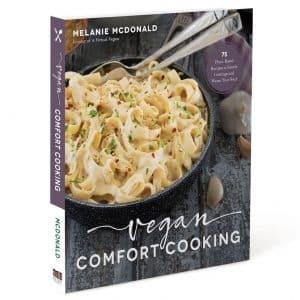 Follow all of the same instructions above, but sauté in a pan on the stove top, put everything (except the sautéed mushrooms) into a casserole, cover and bake on 350°f for about 1½-2 hours or until the potatoes are soft. Then thicken the gravy as instructed, add the mushrooms back and let it thicken in the oven for another 10 minutes before serving.